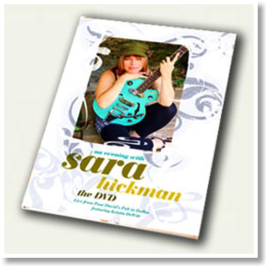 Who exactly is Sara Hickman? Call her what you wish, whether a humanitarian, a savvy businesswoman, a renowned songwriter, a loving mother, or an indie-music darling, Sara Hickman is undeniably one of the busiest women in music today. At the age of 7, this Texas native was already writing and playing her own music. 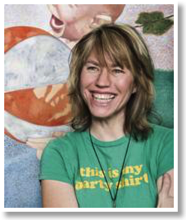 With the release of 14 albums under her belt, including three children’s albums, Hickman has gained a loyal and solid fan base throughout her twenty-year music career. Her music has touched on many subjects such as love, war, and motherhood. 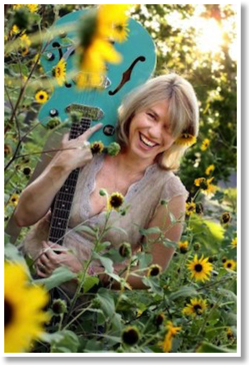 Hickman has appeared and performed numerous times on national television, has had many successful tours, and has gained many musical accolades such as being given the 2008’s Performing Songwriter Magazine Award, and being named as the Texas State Musician for 2010. Since the release of her latest album, Songs to Love By, she has been traveling nationwide to support and promote it. Jupiter Index had the pleasure of catching up with Sara Hickman. This is what she had to say…. What are your musical projects in the coming year? I'm also working on a CD called I, a collection of my songs performed by other Texas' musicians, including Asleep at the Wheel, Marcia Ball, Betty Soo, Rhett Miller (Old 97s), Patrice Pike, Brave Combo, LZ Love, Matt the Electrician, Gretchen Phillips (2 Nice Girls), Abra Moore, Carolyn Wonderland, Ruthie Foster, Guy Forsythe, Alejandro Escovedo, David Garza, Trish Murphy... and many others. I plan to sell this CD to raise funding and awareness for two non-profits, Theatre Action Project (T.A.P., here in Austin) and Big Thought, up in Dallas. They both take music/art/theatre into schools and fill the gap for giving kids creative outlets. Lastly, I'll be returning for Valentine's Day to sing with the Dallas Wind Symphony, a big swing band in which I sing 40's classics while people dance the night away. It's a total blast...and I dress the part. 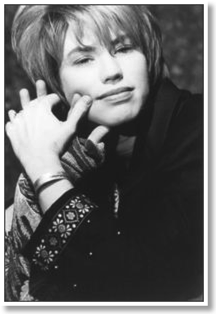 Think Rosemary Clooney meets Carly Simon! How has your music and singing changed over the years? I would say I am much more confident. Actually, I started out confidently, at 7, and then went through my awkward teen years, unsure twenties, grew in my thirties, and I'm liking my 40s very much. I have a love and passion on the guitar, and it shines through when I play. I think I don't worry as much about hitting bad vocal notes (I used to beat myself up over those)...now, my goal is: am I delivering my ultimate to the audience? Am I enjoying myself, too? Am I taking people on a journey? How long can I stay up here before they ask me to get off the stage? Ha ha! 1) Becoming Official State Musician of Texas for May 2010-2011. I hope to represent Texas to the best of my ability, and raise awareness of the arts. 2) Singing with my two daughters, whether in the car, or at home, or out on a walk. They are amazing singers, with broad imaginations, incredible voices and quite comical, too. Passing on the music gene BLOWS MY MIND, and it has expanded in them beyond what I could ever hope for myself, even though they are only 13 and 9. I am a huge believer that exposure to music/art right after birth and as a child grows is crucial and gives children vast opportunities to express themselves in astounding ways. Definitely a top ten memory in all areas! 3) Anytime I've gotten to record with my dear friend/fellow producer/engineer, Marty Lester. I believe we've worked on every single album of mine except one. We work together so fast and smart and have such a blast. I can't express how awesome it is to have a musical partnership with someone who can also engineer, play drums, write music, come up with bass lines and crazy, musical ideas. And we have been working together since 1990, so...a big thank you to Marty! 4) Getting the phone call the day I was signed to Elektra. I couldn't believe it. It was one of the happiest, and most surreal, moments in my life. 6) Performing on stage in NYC with the Sugarcubes, Psychadelic Furs, El Vez and Lena Lovich for the Rock Against Fur! concert at the Palladium. One of the funniest times EVER on stage. 7) Singing with Billy Bragg and Chryssie Hynde in London for a New Year's gig. 8) Holding my boyfriend, E, in 1995, slow dancing as we listened to the (then) unreleased version of "Shadowboxing," and having his tears on my shoulder. I will never forget that moment as long as I live. 9) Singing on the same mic with John Prine as his guest on "Angel from Montegomery." Holy smokes, he's h-o-t! 10) Being in Domestic Science Club. It is too bad it eventually imploded because 1) Robin Macy is a genius on so many levels, and singing 2) with Patty and Robin was perfect music, when we were in the zone. Our two CDs should be considered classics, if I do say so myself. With all the music being performed now, who would be your top ten list of artists? Which top ten CDs would you most want with you on an island? Kristin DeWitt, Lorrie Singer (singers) and Rain Perry (vocals/writer). I could go on cuz I know I'm forgetting some very dear friends, but you get the picture! What have been the ten best concerts you have seen? 1) Peter Gabriel---Cullen Auditorium, Houston/I never saw anyone start out a concert, flat on their back, and raise one hand, one finger curling, and the power to raise an entire audience to their feet, mesmerized, by such one, small action. Incredible power, beauty and music. 2) Jane Siberry---Cactus Cafe, Austin/she is so original, so ethereal, enchanting and highly intelligent. Her lyrics are paintings, and her music is savvy. This show was perfect in every way, from her pre-recorded music to her playing a simple electric guitar. She goes to 11 in my book. 3) John Denver---when I was about 8/The Summit, Houston/I had never been to a concert where the entire audience sang along on every word of every song. It was such a loving tribute to a very loved human being. 4) Jeff Buckley---Electric Lounge, Austin, TX/a completely humbling, gorgeous, effervescent performance. Everyone sat on the floor, hearts wide open, and Jeff sang so quietly on the mic, we were all leaning forward to be with him in the moment. Even his band played softly to support him. Enthralling magic. worry about how long he rambles between songs empowers me further, every time, to be more of myself. He can put politics to music and make it seem like the most natural pop song you ever heard. 6) Queen---The Summit, Houston/I had never seen a laser light show, and Freddie Mercury was the consummate entertainer. 7) Carol Burnett---Bass Hall, Austin/I know, you're saying, "Hey, wait---she's not a musician!" But she's got such a fast mind, a caring soul, and she's not only genuinely hilarious, she's genuine. 8) Ben Folds---Austin City Limits, Austin/Because he's Ben Folds and he engages the audience. 9) Flaming Lips---OMG. Austin City Limits, Austin/I want to be them someday. Extraordinary thought processes captured into music, visual joy and crazy output that makes my mouth water. 10) Neil Finn---La Zona Rosa, Austin/my second date with my husband. Neil blows my mind with his melodic sensibilities. Every song feels like it was in your head and he captured it succinctly; just gorgeous music. Would you like to add anything else about your music? I write all the time. I just can't keep up with recording, nor learning/memorizing everything, nor afford to record what I've created. I'm trying to figure out new ways to share my expression and make a living at the same time. And I'd like to say, "Thank you," to all the people who have stood by me throughout my career and shared their time, thoughts and allegiance. I don't think I could ask for better friends and appreciators because it's an exciting but, sometimes, rough road. I feel blessed, and thank you, Jupiter Index, for supporting me and my music so many times. Amen.